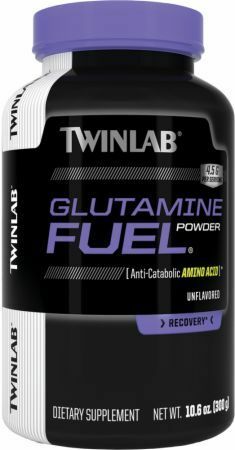 Glutamine is an amino acid that allegedly hydrates your muscles, keeping them healthy and strong, which makes it especially useful if you are an endurance athlete or suffer from an illness that depletes fluids and leaves you feeling weak. Replenishing fluids is one of the first steps to healing and recovery. It does, however, have its benefits, as described below. Cortisol is a hormone the body releases when in highly stressful or traumatic situations. When your body goes into overdrive, it produces excess cortisol to protect itself. That's where glutamine comes in. Taking a glutamine supplement can balance out these stress hormones and can strengthen your immune system, helping your body heal at a faster rate. An added benefit — not the main benefit — of taking a glutamine supplement is that it boosts your immune system. Injuries deplete the body of plasma glutamine and getting more of it, either through your diet or supplements, can be beneficial to the healing process. It's especially helpful if you've had surgery, burn or tend to overtrain. Glutamine is good for the gut. In supplemental form, it prevents the spread of bacteria in the intestines. Animal studies are more convincing than studies done on humans so far, but they do show that glutamine helps maintain proper functioning of the intestines. Further research is needed to determine how helpful it can be for human gut health. Glutamine is helpful if you suffer from Chron's disease or other diseases or conditions of the gut. A randomized study that followed 20 male patients who were in remission from Chron's disease for two months saw improvements in their condition. Some studies show that a high dose of glutamine can help relieve the painful symptoms associated with Chron's. One animal study found that glutamine has therapeutic effects and can help treat intestinal inflammation and ease the debilitating symptoms. However, in the colon, which does not use glutamine as a main source of energy, glutamine can cause oxidative stress in tissues. 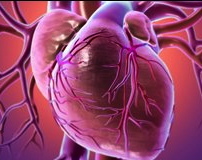 It protects heart tissue in lab animals, alluding to possible heart disease benefits. Like any other muscle in your body, you can support damage to the heart by taking a glutamine supplement. It works by boosting the antioxidants that protect your body at a cellular level. It is also helpful for those going through angina or cardiac bypass surgery because it is able to protect the damaged muscle. It isn't effective as a preventative method for heart attacks, though. Though glutamine may also help with depression, mood disorders, ulcers, ADHD, insomnia, colitis, and other conditions that are not as severe or life-threatening, more research is needed to determine its effectiveness. Glutamine reduces sugar cravings. Taken at the first sign of sugar cravings, glutamine levels blood sugar and diminishes your sweet tooth. This is especially helpful if your goal is to lose weight. Cutting back on sweets and carbs makes it easier to shed those extra pounds. (i.e. muscle tears). 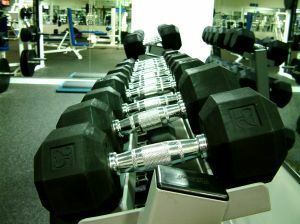 You can use it before and after workouts to prep and soothe your muscles so you get more out of every workout. 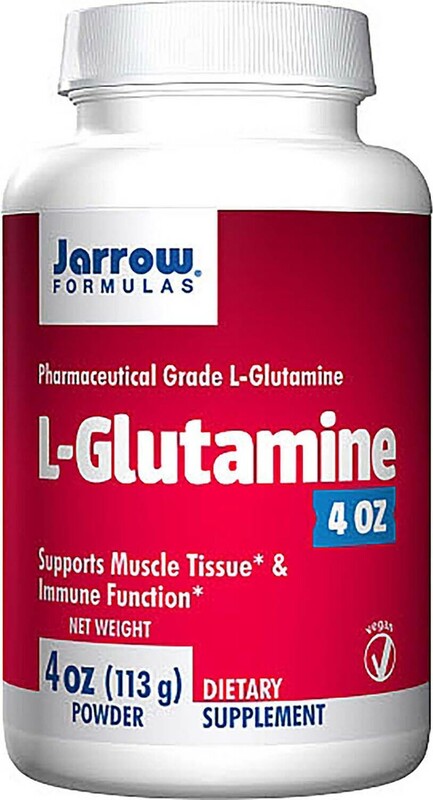 Glutamine may reduce nerve pain, diarrhea, swelling, as well as muscle and joint pain associated with cancer and AIDS. It can offset some of the damage caused by chemotherapy treatments. It's also thought to help maintain muscle mass during these illnesses when your body would otherwise become weak and use your own muscle tissue as fuel. One study followed 31 participants aged 18 to 24. Researchers tracked their progress for six weeks while engaging in total body resistance training and taking glutamine. The study authors didn't find any significant differences in body fat, strength gains, or overall performance. The same is true even when pairing glutamine with creatine. Anyone with a serious illness can benefit from taking a glutamine supplement. If you're prone to infections, have a life-threatening disease, or an inflamed gut, you could benefit from taking a daily dose of glutamine. Aside from cancer patients, burn victims, surgical patients, and athletes who put excess strain on their bodies, glutamine is also helpful for vegetarians and vegans. If you don't eat meat, taking glutamine supplements are especially useful for those on a restricted diet since the amino acid protects muscles and promotes growth, much like protein. The supplement is only beneficial if you lack protein in your diet. It is advised that you add glutamine supplements gradually. Start with just 5g per day and work your way up, if necessary. The observed tolerable upper level limit for glutamine is 14g per day. Everyone responds to foods and supplements differently and until you find out how it works for you, don't overdo it hoping to yield faster results. One way to increase your glutamine intake is through your diet. Many ordinary foods contain glutamine. There are no reported side effects from taking a glutamine supplement. Glutamine works best when taken on an empty stomach, especially right before morning workouts. Taking it in higher amounts can actually raise ammonia levels, which is undesired. Studies also show that taking 50g to 60g of glutamine for several weeks at a time has no negative side effects. Even so, unless you are a powerlifter training for a big event, there's no reason for you to take that much. You can safely take up to 30g per day without experiencing side effects. Long term usage may carry unknown side effects, however, because there isn't enough research to know the impact it will have on your body down the road. Though many consider glutamine a fairly overrated supplement, it is extremely affordable and risk-free. It pairs well with BCAA's, which is perfect for before and after working out. Many supplements on the market contain both BCAA's and glutamine so you'll only need to take one supplement. Your body actually makes enough glutamine on its own. If you aren't in an extremely stress situation, there's no need to add the supplementing to your daily regimen. There really isn't a need for an otherwise healthy person to take glutamine. Even though there's no evidence it's harmful, glutamine isn't necessarily useful as a preventative supplement either. It seems to work best once your body has been through something traumatic — stress, surgery, or an injury — and needs repair. There are several conditions make glutamine supplements unsafe. Don't take while pregnant or nursing since the side effects are largely unknown and the risk to your baby is unnecessary. It's also unsafe to take if you suffer from seizures or mania as it can worsen these conditions. Please note that the FDA does not regulate or oversee glutamine -- or any dietary vitamins or supplements, for that matter. Before starting any new supplement, be sure to talk to your doctor about the possible benefits or side effects. Go with a trusted company whenever you buy vitamins and supplements. Price Plow is a great resource for learning about supplements and finding great deals. We feature a list of suppliers and trusted companies so you can easily locate reliable brands at a reasonable cost. When it comes to glutamine, we suggest Scivation Xtend, which is our featured BCAA supplement with glutamine. 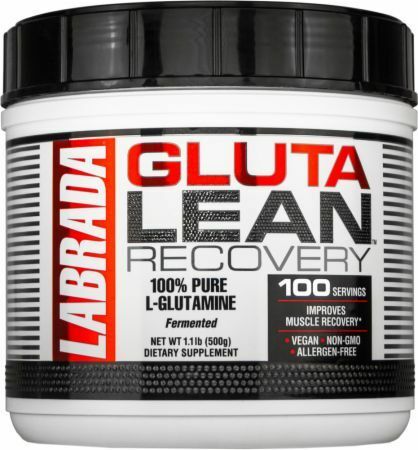 DAS Labs Glutamine was created. Killer Labz Killamine was created. Xtend Elite Features 2g PeakO2 with New Research! AllMax Nutrition Glutamine 3000 was created. Insane Labz Insane Glutamine was created. 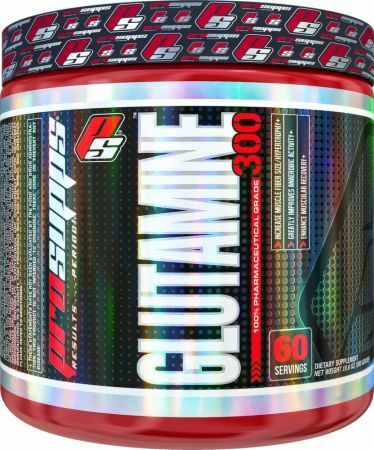 USP Labs Glutamine was created. Natural Sport Glutamine Chewable was created. 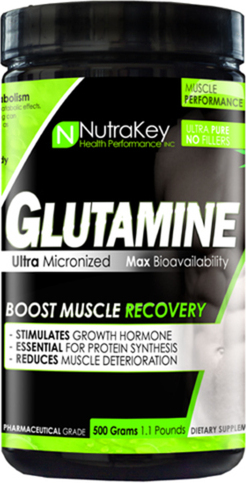 MTS Nutrition L-Glutamine was created. 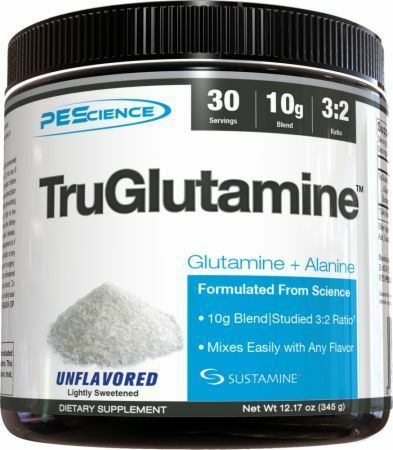 Thorne Research L-Glutamine was created. 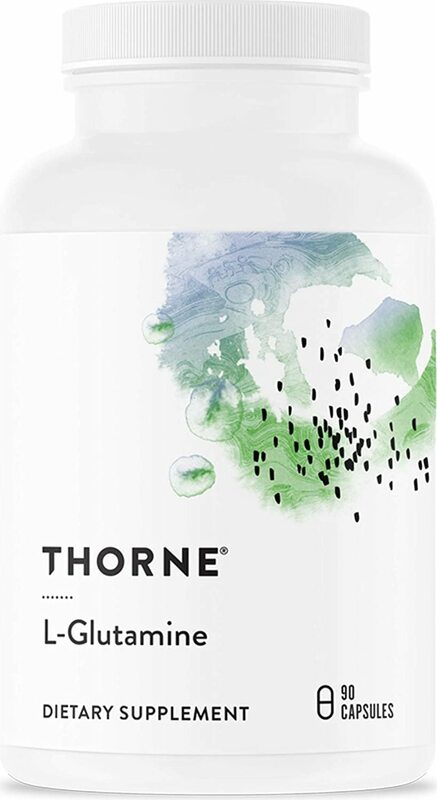 Thorne Research Phytoprofen was created. Black Skull Shield was created. 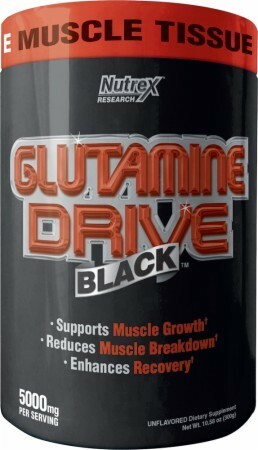 Black Market Labs Glutamine RAW was created. 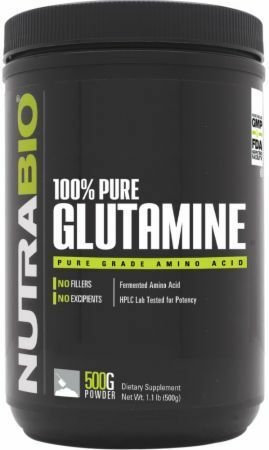 Purus Labs Glutamine was created. BodyLogix Micronized L-Glutamine was created. Performax Labs Glut Max was created. 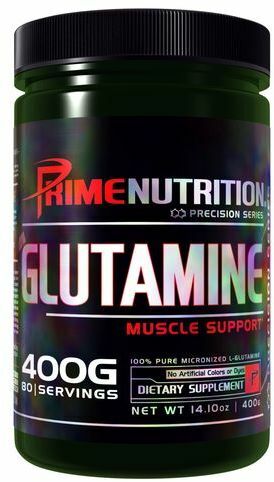 Muscle and Strength 100% Pure Glutamine was created. Integrative Interventions Glutamine Forté was created. 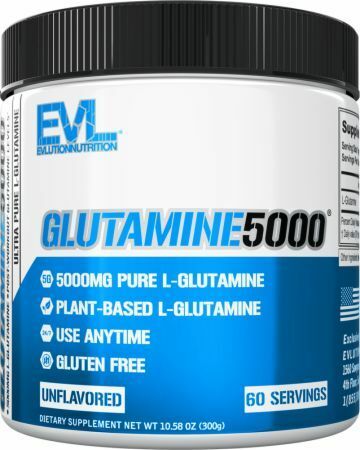 EVLution Nutrition Glutamine5000 was created. Medi Evil L-Glutamine was created. 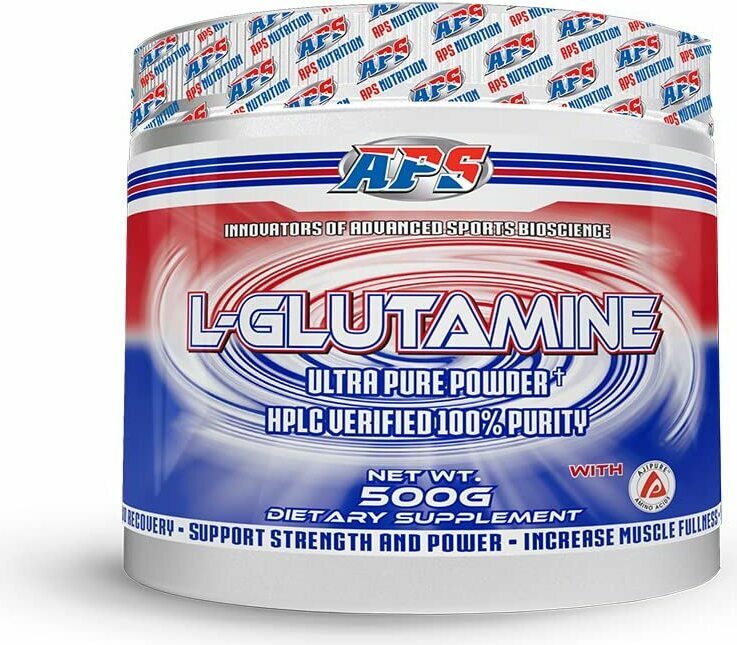 BPI Sports 100% Pure Glutamine was created. 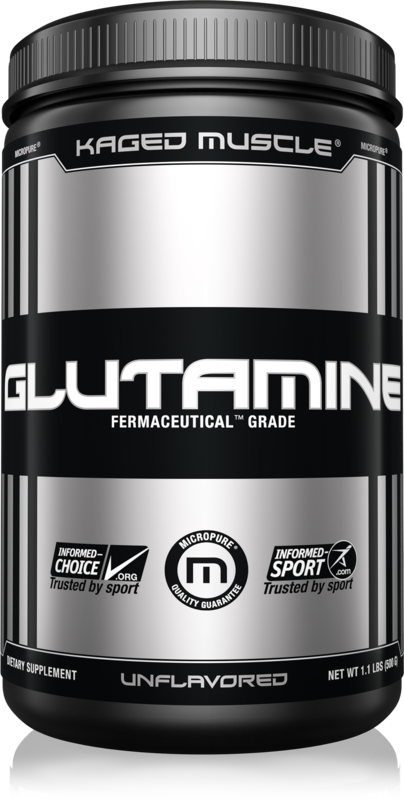 NF Sports Glutamine was created. 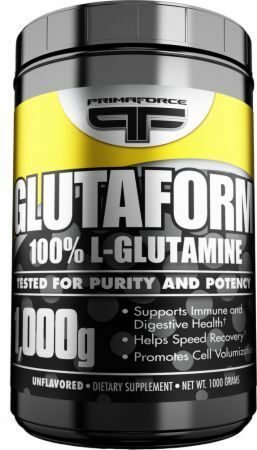 SAN L-Glutamine 2000 was created. Alpha Pro Nutrition L-Glutamine was created. 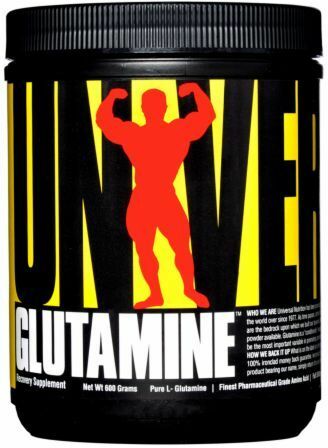 Gifted Nutrition L-Glutamine was created. 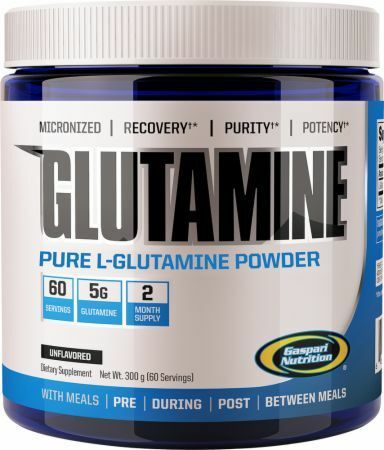 USN Pure Glutamine was created. EAS Myoplex Glutamine was created. Fast Track Nutrition Pro Glutamine was created. Adaptogen Science Glutamine was created. 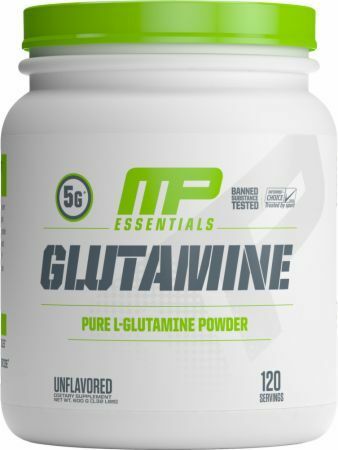 MHP L-Glutamine 1000 was created. Apollon Nutrition Enigma is the fully loaded post workout supplement created at the Apollon Gym to complement their high energy pre workout Hooligan. Formutech Endurance BCAA+ is a well-dosed intra workout supplement with several ingredients included to maximize *endurance* and athletic performance. 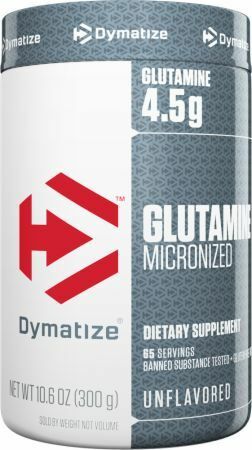 Dynamik Muscle L-Glutamine was created. EVL RecoverMode is a beasty post workout and recovery supplement that packs in 10 different ingredients to crush soreness and support muscle growth. PostHAK from HAKNutrition complements all of the ergogenics in PreHAK as well as supplies everything needed for superior recovery. Elemetx EliteAmine is a naturally flavored post-workout BCAA supplement from the Canadian brand Elemetx that includes HICA and no artificial colors! Nutrex PostLift: Loaded Post-Workout Carbs & More! Nutrex debuts its new Clinical Edge series with a doozy of a post workout product titled PostLift that includes 10g of BCAAs and 25g of Cluster Dextrin. Scivation Xtend Perform: BCAAs for ATHLETES! Scivation Xtend Perform is a new BCAA Supplement for athletes - it contains PeakO2, a new ingredient that can raise VO2 levels for all kinds of gains! Muscle Elements PowerDown Amino PM is Here! Amino PM is the new Muscle Elements nighttime amino acid supplement that will be released in August or September of 2015. Get signed up to hear more! MusclePharm Gainz: Post-Workout Partner to Wreckage! MusclePharm Gainz is the new post workout supplement for #MPNation that includes 2g creatine hydrochloride, 6g BCAAs, 2g beta alanine, and more! CytoSport Lawsuit! Muscle Milk Underdosing Protein? A class action complaint / lawsuit has been filed against CytoSport, makers of Muscle Milk, for allegedly not meeting protein label claims. Sign up for future Glutamine news! Click the button below to sign up for future Glutamine news, deals, coupons, and reviews! Sign up for future Glutamine deals and coupons! Click the button below to sign up for future Glutamine deals, news, and coupons! Subscribe for more Glutamine news and alerts! Subscribe to PricePlow on YouTube or click the button below to sign up for our latest Glutamine news and reviews! $23.45 This is a Buy 1 Get 1 FREE offer! $28.66 This is a Buy 1 Get 1 FREE offer! $18.74 This is a Buy 1 Get 1 FREE offer! $30.56 This is a Buy 1 Get 1 FREE offer!